Often times when it comes to all things life there are overwhelming aspects that can totally take us over the edge. Other times there doesn’t have to be a factor that pushes us over the edge, it’s just a feeling that we can’t swing. You may not be aware that you suffer from anxiety, maybe you just thought that you were having an “overwhelming” day with life. The thing about anxiety? There are ways to treat it and you’ll never believe the ways to combat anxiety. Did you know that one in thirteen people suffer from anxiety? 18% of those that suffer are adults, so know that you aren’t alone when it comes to feeling overwhelmed, uneasy, or nervous. Often times we don’t want to admit that we’ve got anything wrong with us. Just know that anxiety isn’t “wrong”. It’s a cognitive disorder that we can’t control, but we can surely help combat it. First you must recognize the signs and symptoms. You’ll feel things like fatigue, restlessness, sweating when sweating isn’t usual. You may be irritable with racing, unwanted thoughts. Over all, more than likely, you’ll feel anxious, nervous, irregular heart beat, and/or impending doom. Anxiety can be and is a serious issue. 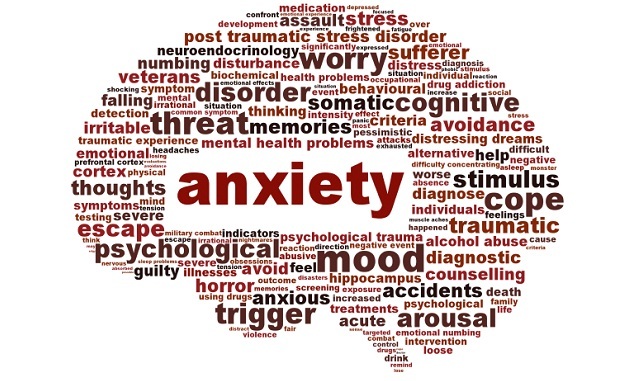 Other forms of anxiety can be obsessive compulsive disorder or post traumatic stress disorder. 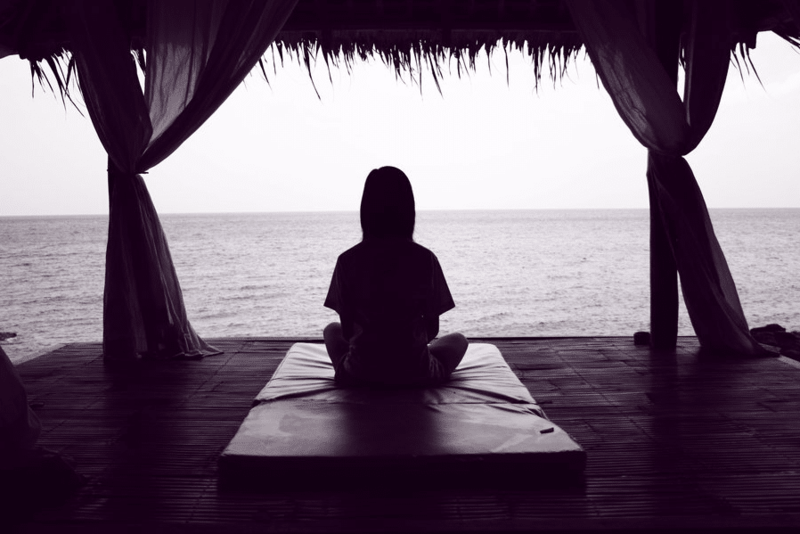 There may be things that have caused your anxiety that were unforeseen or maybe you have suffered from anxiety for a while. Talking with someone that is trained to deal with anxiety can not only lessen your anxiety, but can keep it at bay for you to life normally, symptom free. The only down fall of this, you have to be diligent about making appointments and keeping them. This is great for those that need accountability. For those that don’t want to deal with their emotions or the situation quite yet, seeing your primary care physician could be the solution for your. The great thing about this? They can prescribe you meds to combat the feeling. Talk with your doctor to see what works best for you. 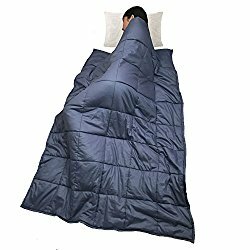 This isn’t new by any means, but a weighted blanket for anxiety can not only combat the insomnia issues, but it gives you a secure sense of feeling when it comes to dealing with your symptoms of anxiety. You may not think that an anxiety blanket could help, but if you have a fresh rested mind, you’re more likely to pass the social anxiety test when it comes to dealing with everything. Running, a great cardio exercise is great to combat anxiety. The great thing about running, you can do this on a treadmill or outside. If running isn’t something that you’re used to, build yourself up to where you want to be. Set a goal for yourself along with a time line of events and go for your goal. Reaching goals is a great way to raise your self-worth. Throw on your running shorts and hit the treadmill! Go out and see the world. Getting up is the first step after admitting that you’re willing to combat the issues you’ve got with anxiety. Hiking ensures that you get out and roam, see the world, and take your mind off of what is bother you. Not only do you get physical activity but you also get time spent away with just nature. Somehow, nature give your the sense of calmness, hopefully this helps with your sense of worry. Take a class… Dancing doesn’t have to be just ballet or tap. Go with your partner to take Tango lessons or Samba lessons. Learn something new. Expand your knowledge of movement. Learning new things will not only help with the curbing your poor concentration but it may also combat the fatigue or insomnia as you’ll wear yourself out. Like dancing, yoga is a form of learning and expanding your knowledge of movement. This takes tones of dedication and concentration as you’re using muscles that you don’t normally use. Take a walk. Not that kind of walk… I mean an actual walk after a long day of work. Make sure that you schedule out time in your day to just take a walk. 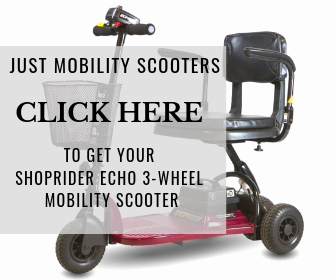 You can even walk with a friend or your partner. A great to combat loneliness. Utilize other forms of exercise too. These five are just the exercises that come to mind when looking to combat anxiety. Exercising doesn’t mean that you have to got to the gym, hire a fancy trainer, or dedicate your life savings to working out. Find a routine that first best with you. Heck, a home workout routine may work out the best for you. If that works for you, then why not? Exercise can not only help with your anxiety, but the symptoms can be lessened to nothing if you’re really dedicated to feeling and being the best you that you can be. You can lessen your heart rate with daily exercise, a great perk! That has to be why exercise it the number one way to combat anxiety. You and only you know your body and how you’re feeling. Consult with your doctor before you stop any medication or make any drastic changes. Keep a routine at home, at work, and in life and you’ll be good to go. Here is to kicking anxiety in the booty. Happy exercising!